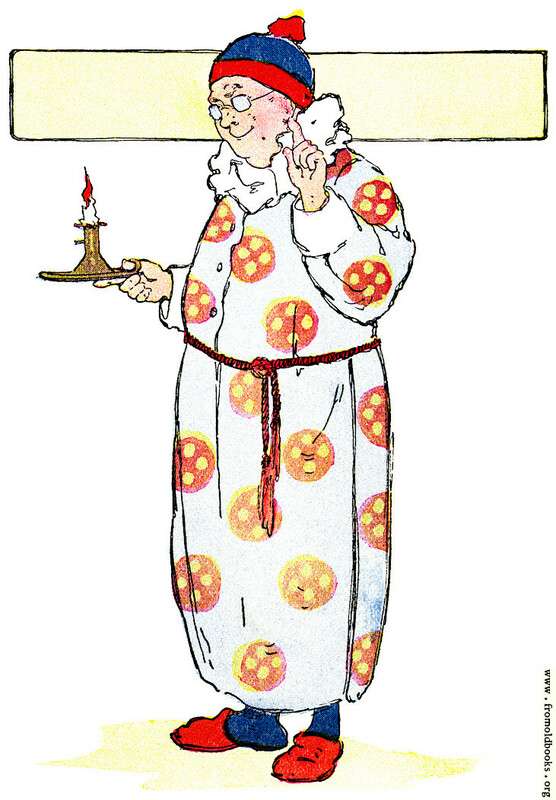 A smiling good-natured bespectacled man wearing a light blue patterned nightgown fastened with a sash and a red and blue bobble-hat holds in his left hand a candlestick with a lighted candle. His right arm is raised with first finger extended as if to make a point. He wears red slippers and blue socks, and his dressing-gown has a white ruff. You wives and maids give ear-O!